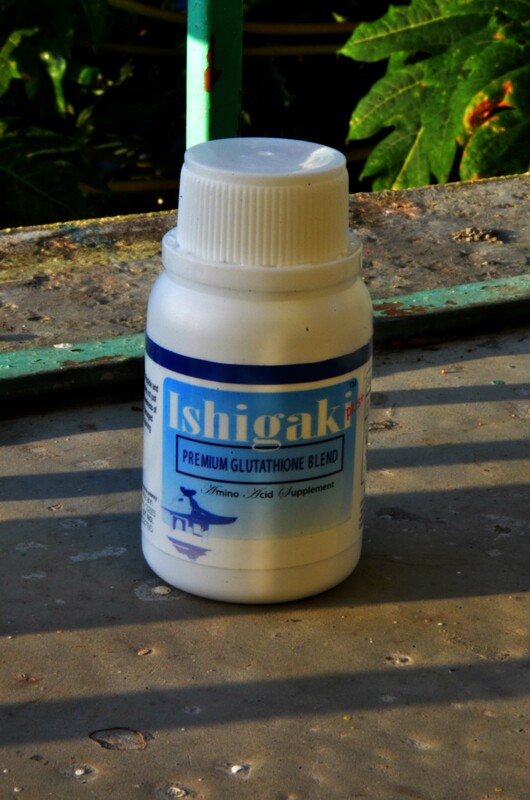 Ishigaki Plus Premium Glutathione Blend Review | Forget the drama! Manufactured By: Exclusively Manufactured for and Distributed by: HSCE under Japan & USP Standars, Campbel, CA 95008 U.S.A. Indications: This unique custom blend of Glutathione Tri-Peptide and essential amino acids were carefully formulated not just for skin lightening but as well as for the total wellness of the skin, hair, nails and bones. It helps repair damaged cells from free radical stresses and aids in attaining a healthy, smooth and fairer skin. Dosage: As a dietary supplement, take one capsule a day, preferably with a meal or as directed by your Healthcare Proffesional. Glutathione powder has a tangy sour taste but is not as bad as L-Cysteine or NAC. Glutathione has a strong sulphuric smell sometimes referred to as “rotten eggs”. Enhancing the Immune System. It protects your DNA from damage and maintains optimal immunity. Antioxidant and Free Radical Scavenge. Another major function of glutathione is in the detoxification of foreign chemical compounds such as carcinogens and harmful metabolites. It protects against free radicals, tamps down inflammation and helps fend off heart disease, cancer, neurological decline, dementia and many more of the debilitating diseases. As for the anti-aging or beauty benefits, I think I am showing a positive result. I noticed that my skin gets better, especially the spot of radiation therapy. I got an uneven skintone on my face and neck after the therapy. Now that I am seeing improvement in my skin, I am so excited to finish the bottle and see the result. I am skeptical to this crazy idea, but I think I might consider what husband told me that I could be posting the “before and after” photo. What do you think? Pingback: The Reason Why I Am Taking Glutathione Supplement | Forget the drama! i wonder how much is this, must be quite expensive. Most of the gluta that I’ve seen, 2 capsules a day are recommended so it looks so expensive but this one is just one capsule a day. I don’t think I’ll be taking glutathione supplements anytime in the foreseeable future, but I hope for your sake you’re not the squeamish type. I mean, I would personally find the “rotten eggs” smell off-putting. Sounds like an interesting supplement. hi!!! I love how you write very interesting article and i want to read more of your writings! This is nice though I do not really take gluta. Will recommend this to friends. I have never been a fan of supplements. I only drink multivitamins daily. I wonder if this works! Ang mga gantong supplement ay para talaga siya sa ating Kidney. Linisin mo lang ang iyong kidney then normal na sila ang mag eextract ng Gluta. I just wonder how much is the cost of this product? It depends to the seller. 700 and up per 30 capsules in a bottle. San mo po nabili ung sayo? Hi! I bought it at Avery Store. Yes! Before and after photos please! Good to read that the product is working for you 🙂 Hope that there is a long term good effect for you. As long as it can really help your health, not just your physical appearance, I think it will be a good one to take. Will try to look for this one at the nearest pharmacy. Not really into whitening supplements but this one makes me wanna try it. Thank you for sharing. Glad that this works well for you. haven’t really tried this and I have some reservations to try it too. Thanks for this review, I was enlightened by how the product actually works. yes sis! post the pics. it would encourage us more to try this product.. I would like to see a before and after photo, too! I hope it makes you feel better health-wise. God bless, Jess! Stay healthy! One would think that glutathione is only used for making the skin whiter. Apparently it has so many health benefits as well. Would be better if you post a before-and-after pictures of this product to market. Or some sort of comparison to other similar product. Just a suggestion. Thanks. I’m glad that you already started using this product and I can’t wait for some before and after photos. I’m sure this product is great! Do post please. This could be a good advertisement to your readers as you promote the benefits relevant in your photos. How much is Ishigaki Plus? Never tried gluthatione before. I hope it will work for you and your health. Hi, sis! Glad I check this out. I’m also planning to take this (since you have a good review about it) some time after I give birth. May I know how much a bottle cost and where did your buy one? 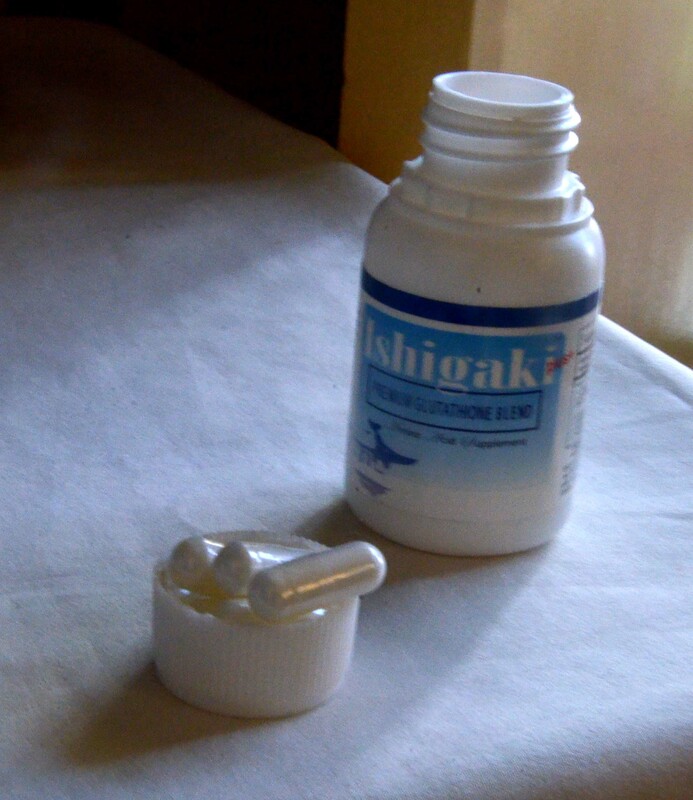 Pingback: Ishigaki Plus Premium Glutathione Blend Review Part Two | Forget the drama!